In my completely biased opinion, Austria offers some of the most beautiful scenery in the world, especially if you are a pilot. 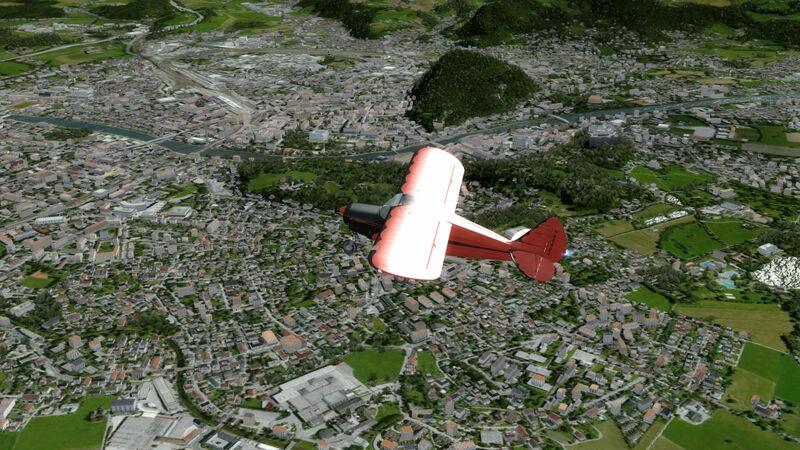 High mountains, lush green valleys, beautiful lakes, and some of the best beer in the world, Austria is a tour de force for VFR flying. In flight sim terms though, well, results may vary. Poor mesh leaves The Alps feeling less "pointy" than they really are and landclass only gives a vague impression of the land. For a country where being outdoors is so important, it deserves so much more than FSX / P3D can give. 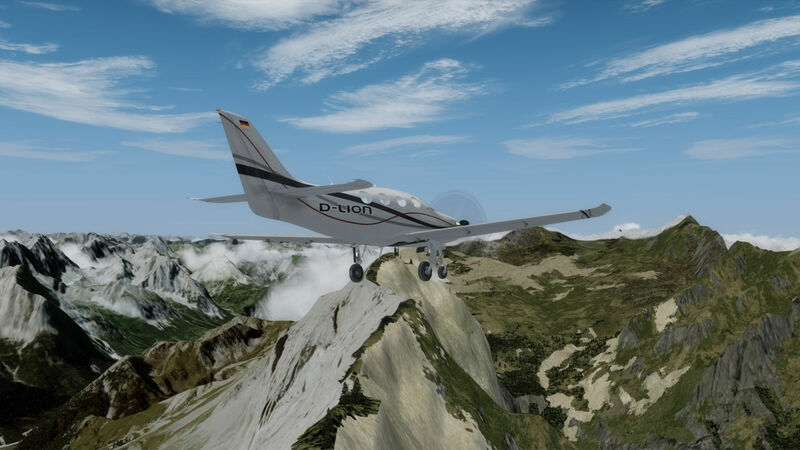 Enter Aerosoft's Austria Professional HD West. Can it live up to the real thing? Austria Professional HD West is the much anticipated sequel to the surprisingly titled Austria Professional HD East - ok, it is not that surprising, it is however, large. At a 13GB download, expect a lengthy wait for the program to arrive after purchase. Alternatively, Austria Professional HD West can be purchased as a boxed product. 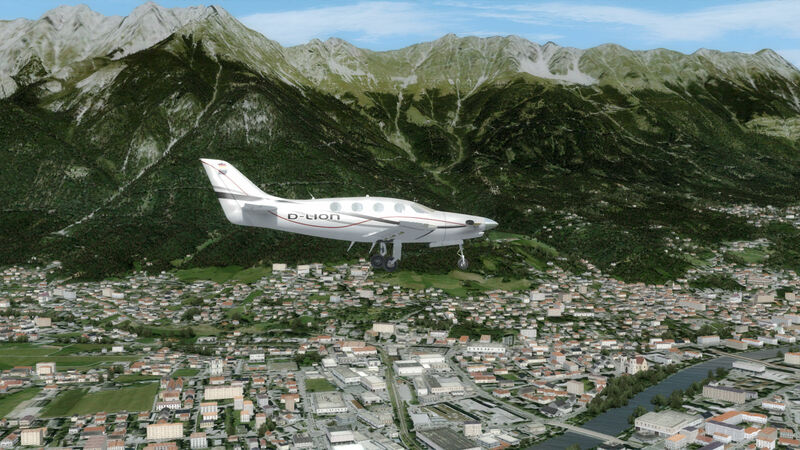 Austria Professional HD West is available from Aerosoft and is priced at €44.50 for the download version and €46.21 for the boxed version, or the equivalent on currency cross rates. The final install takes up a mighty 14GB of HDD space - not bad for half the country. The large installation should tell you something of what is in store. 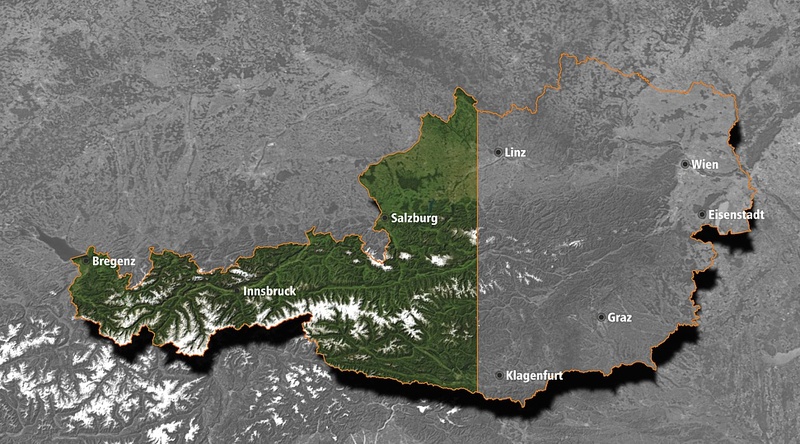 Stretching from Wels in the east to Bregenz and the German and Swiss border in the west, HD West (it is just easier than using the full title) covers the heart of The Alps. For want of a better description, it covers the pretty bits, including Salzburg and Innsbruck. There is, of course, so much more to see than just these two cities, but in aviation terms, they are the important bit. Along with two of Austria's more famous airports and cities, there are a host of lovely little airfields that make a GA flight all the more enjoyable. From tiny, hidden away grass fields like Kufstein, to larger beauties like Zell Am See, there seems like there are plenty of great places to indulge in a virtual $100 hamburger. Describing this vast land though is not going to be easy. The vastness of The Alps may be the reason that there are so few major cities to visit in the West of the country. Both Salzburg and Innsbruck feature, of course, but the beautiful lakeside city of Bregenz, in the far west, offers a lovely "seaside" feel, whilst to the south, the small town of Lienz offers those who "want to get away from it all" a chance to do just that. For me, if a scenery is to truly depict a place, then I need to see the local sights I would expect to be there. Let us start with everyone's favourite, Innsbruck. My first impression is "wow". I visited Innsbruck a few years ago, and "wow" was never far from my lips. With mountain peaks towering almost 10,000 feet in the air, it was a view which continued to take my breath away every morning. There is an echo of that here in the sim. Those peaks, resplendent with the photo scenery draped over them, look great. The city itself though, is a little lacking. Do not get me wrong, the autogen buildings do a pretty decent job of filling the place out, but they are very generic in their look. Things are missing, like the shopping mall at the end of Runway 26, the ski jump area to the south and lots of the city buildings. It is all a bit generic. You could argue that maybe, we expect too much here, and with no less than three Innsbruck add-ons coming soon for the sim, we should not worry. Salzburg does not suffer quite as badly as Innsbruck though. 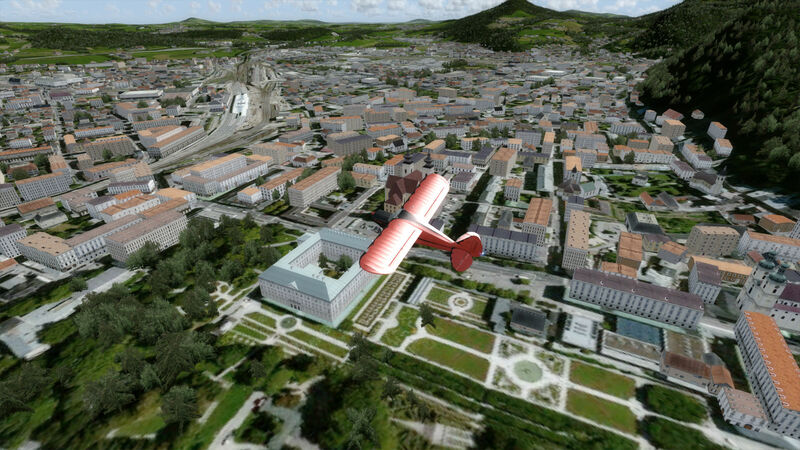 The Maribel Palace, the castle, and several other points of interest are included, though Microsoft added a few objects themselves to the Salzburg area with the release of FSX. It is possible that one or two of the objects I can see may be left over from then, but still, the overall effect is less than convincing. 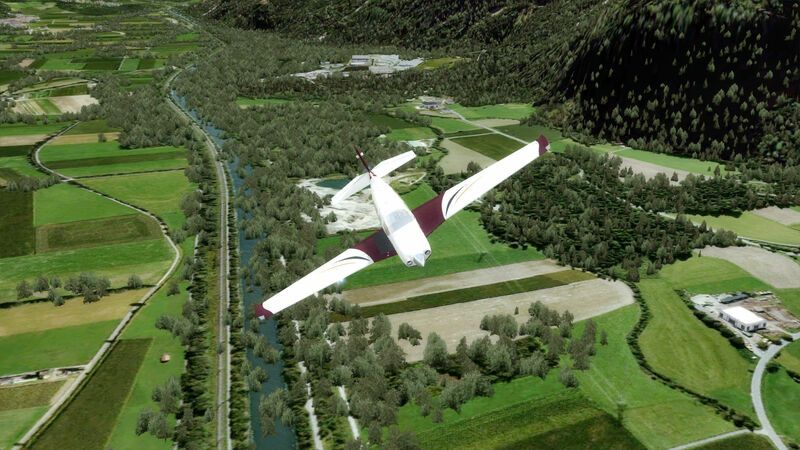 If you add Direct Designs Salzburg Airport, which includes a photo scenery base and custom placed objects in the city, the difference is like night and day. Bregenz does better. Sitting on the shore of Lake Constance, the surrounding area provides me a great opportunity to see the edges of the scenery coverage. The blending is quite good with Orbx Global textures, and with openLC Europe and Vectors installed, the roads line up perfectly with the photo scenery. Along the shoreline, there is water masking which really adds a sense of realism to the view. The city itself suffers from the same issues as Innsbruck and Salzburg. 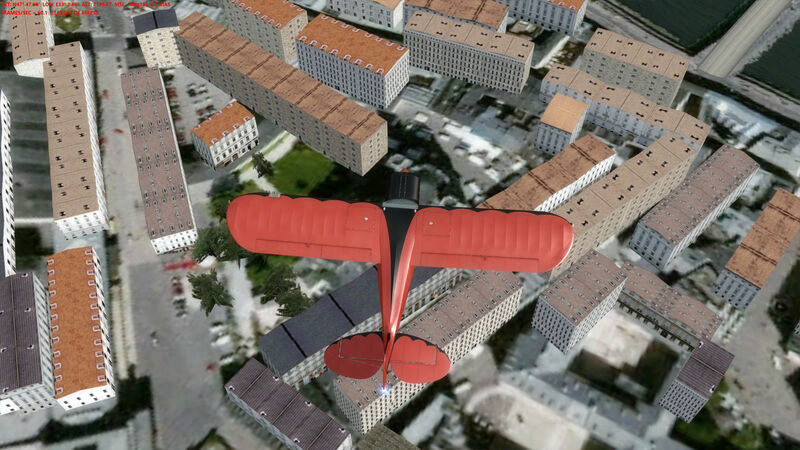 Buildings are a tad generic, and the local airport, Höhenems does not blend with the default airfield over the top. Users of the Orbx Global European freeware airport pack will find the layout to be much better, and it shows the difference made by adding even a default style airport in place of a flat photo texture. Away from the cities, the scenery begins to turn pointy and in turn, a bit "whoa". This is where photo scenery really comes into its own. HD West comes with its own mesh, and it is pretty good in terms of resolution. It helps keep the pointy bits pointy. Passing photo realistic peaks covered in snow is a thing of joy, and flying between the valleys is equally a joy. 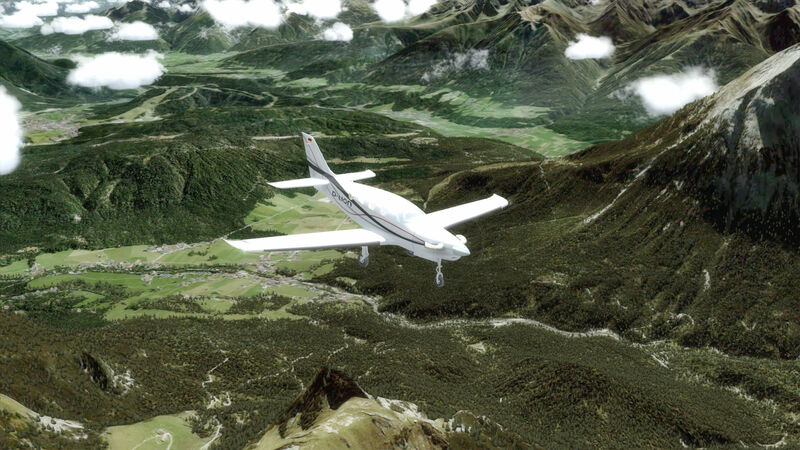 My favourite area, is the visual approach to Zell Am See, a small airfield to the south of Salzburg. This visual approach brings you in through the mountains and over a lake before we head into the small airfield. It is picture postcard stuff. Heading up the Brenner Pass near Innsbruck is another beautiful flight, and a real pig to get to directly out of Innsbruck. Given the sheer size of this product, it shouldn't be surprising that there are a few errors and bugs. Using photos entry base is always going to lead to compromises. The perpetual summer is forgivable, as this is clearly indicated before you buy. What gets tiring for me is the green. Austria in summer is very green. But with P3D and HDR lighting, that green, becomes a little too green, a little to bright. The autogen also irks me. 99% of the buildings used fit fairly well with the base texture underneath, but every now and again, it screws up, and a building will be too large, or to small, or even lined up incorrectly. If you spot that, it ruins the immersion factor. Then there's the photo textures themselves. In Salzburg I found a number of bridges that happily crossed the river but as they did, the photo texture of that bridge sits underneath, and it's not pretty. Around Innsbruck I found a whole valley that was a completely different colour to the rest of the scenery. Obviously there's a different source here, but surely an attempt to match up the area with the rest. At night, the night lighting is poor, with no sign of road lighting. 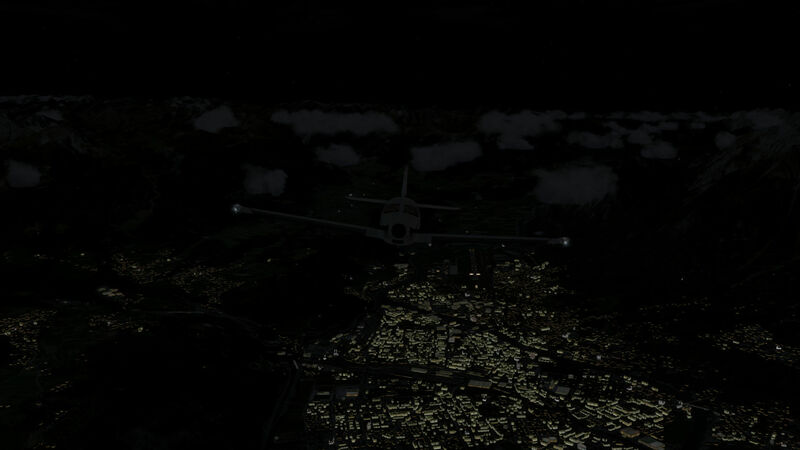 Orbx Vectors and Landclass help a bit, adding a nice orange glow along the major roads. The buildings are lit, but since they behave like default autogen, they're not the best looking things in the world. Finally, my big bug bear with HD West are the airports themselves. 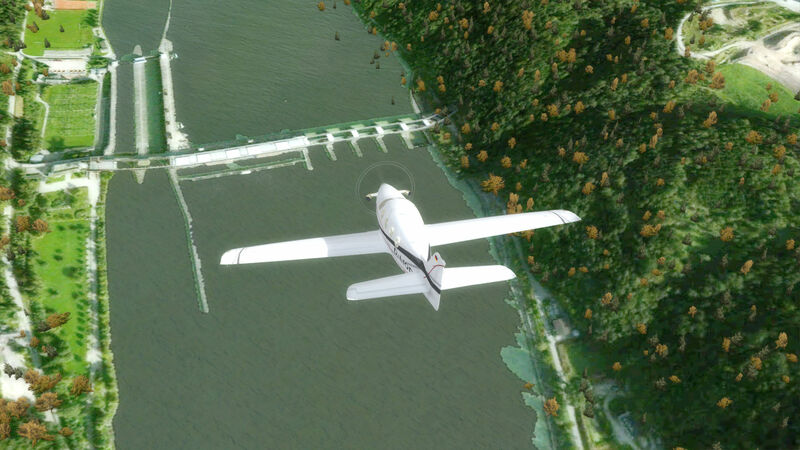 Just as in HD East, the smaller airports are left to be displayed in photo scenery only. This works ok for the grass fields, but for the tarmac airports, it feels unfinished. A few items of autogen like a piper cub or default hangar would be great, but most airfields are just flat. It annoys me all the more when you realise that the old Austria Pro X add on featured updated airfields for all the Austrian fields, complete with placed autogen aircraft and hangars. Surely importing a few of these would make a huge difference to the finish. The manual is spartan to say the least. Downloaded from the flugwerk's website, the German only manual is a mere 15 pages long, and only really covers the installation of the product. There are no real details describing the scenery coverage area and only a scant half page hinting at the highlights of the scenery itself. 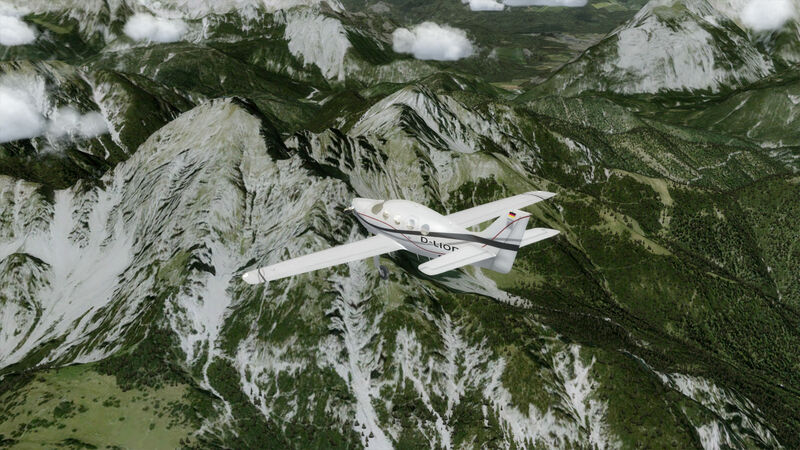 Austria Professional HD West performed excellently within the existing settings in my flight sim. I did not need to make any adjustments to compensate for performance issues and there was no discernible impact on typical frame rate performance. Of course, this is all system dependent and settings adjustments may be necessary to provide optimum performance for your particular system. 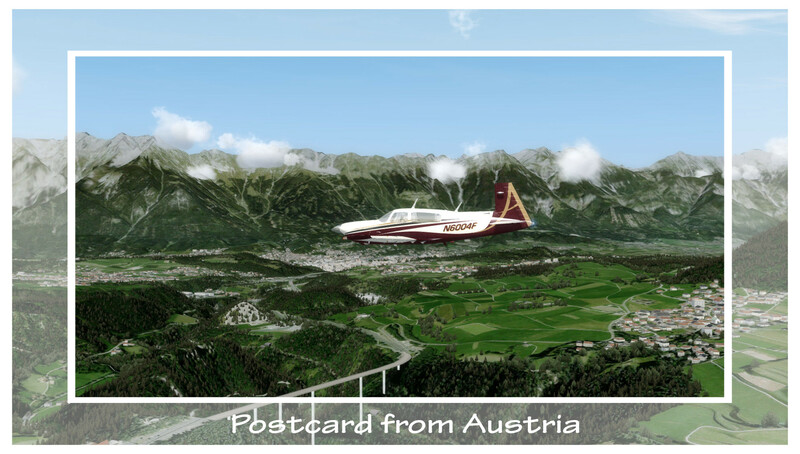 Aerosoft's Austria Professional HD West is very much a mix of greatness and great disappointment. Where the scenery really works is in the mountains. The picturesque valleys and hidden areas offer the VFR pilot a truly beautiful place to fly in that is as true to life as you can get. Where it all falls down is the lack of finesse. A few more custom objects in the right places would help push this add-on into something special. The airfields are crying out for a makeover. A proper runway and a few default objects would do wonders here. I have taken to making my own airports to fill out some the nicer areas to visit. On its own, this package is 80% there. Users of Orbx FTX Global openLC Europe and VectorsOR will find that these help fill in the blanks, and where the HD ends, openLC Europe blends pretty nicely. For night lighting, I recommend Night Environment X for Austria, as it does a great job of filling in the missing road lighting. Whilst Austria Professional HD West brings this part of Austria to life in one respect, the poor placement of objects, lack of night lighting, and flat and lifeless nature of the airports is hard to swallow at the price. 3.0GHz CPU, 4GB RAM, 1GB graphics card, and 14GB available HDD / SDD space. 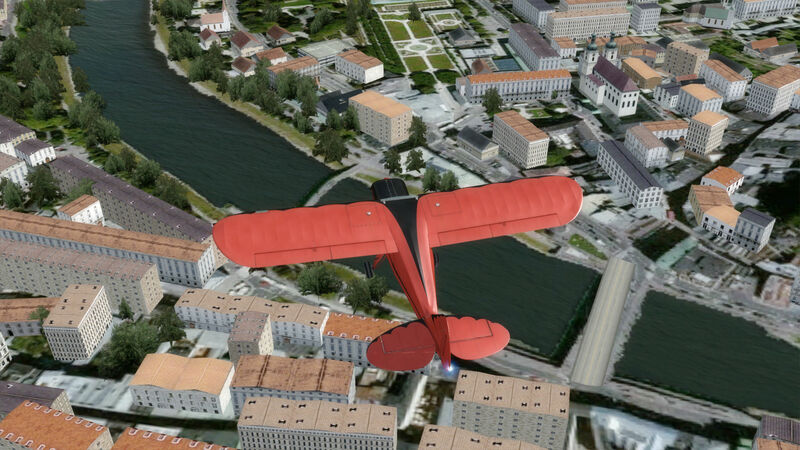 Microsoft Flight Simulator FSX Acceleration. 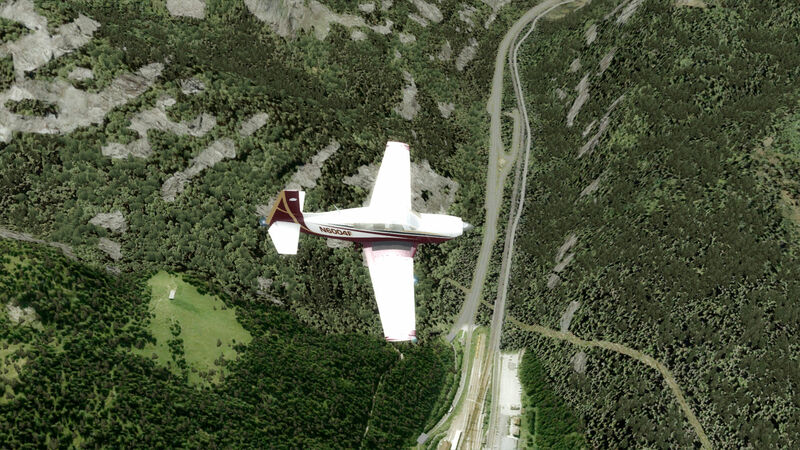 On the plus side, you get the prettiest, most well known parts of Austria to fly in. However, it falls short of being a true must have by simply lacking a few things. 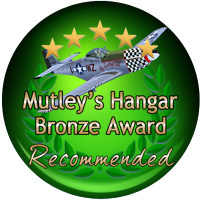 with a "Recommended" and a Mutley's Hangar Bronze Award.